A fake TV is quite an unusual item that is not commonly known about. The market for a Fake TV is very narrow – mainly home stylists and home builders are the clientele. Home stylists are commissioned by home owners wishing to sell their homes. It is said that many thousands of dollars in value is added to a potential sale price after the expertise of a home stylists has been engaged. Large TVs and laptops or iMacs can be very expensive and heavy to install. Using our display props enables quick and easy installation, normally one person can do it on their own. Some house builders build spec homes which they need to furnish, and a select few are aware of the advantages to be had by using the fake tvs. I had an interesting conversation with one of the builders the other day who told me that the fake tvs we supply are so life-like, they have still had them stolen from their display homes. Seriously??!! I was really surprised, as from the weight of them alone the would be robber should be aware that they’re not real – although they look so real it’s hard to tell. Still, buying a fake tv is cheaper than buying a real one, even if the deterrent isn’t working! The 42″ Display Fake TV is our most popular sized model in the range. Currently we have two styles. One is all plastic and comes with a separate plastic base, so it can be wall mounted OR placed on or in a display unit. The other style has a metal back with silver feet. The 50″ Fake TV is very impressive when mounted on the wall. It also comes in both models as above. Our smallest fake tv is the 32″ which is perfect for units or bedrooms. 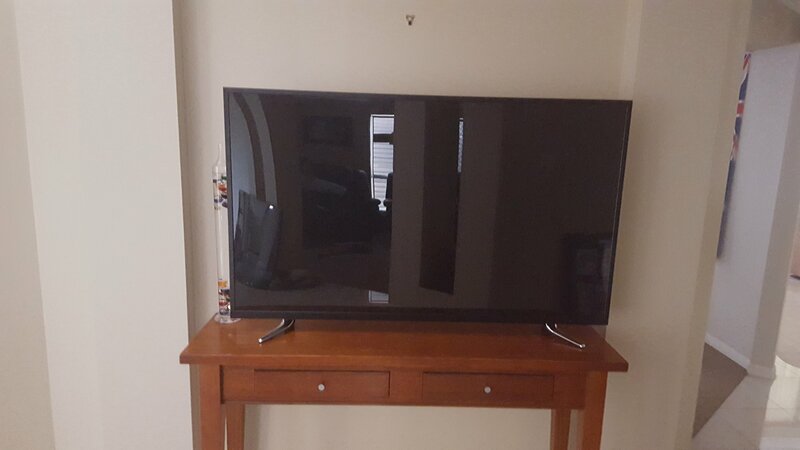 It is identical in every way to the 50″ model, except smaller in size. The screen is 79cm wide and 49cm high. When mounted on the silver feet, the height is 55cm. Our fake TV range is extremely life like. The 42″ display props plastic model is very lightweight, at 7kg. The current model of 50″ is made with a steel frame and back. It has the same plastic screen as the others. It is a heavier unit at about 10kg, but can easily be wall mounted using a standard TV mount or just a nail in the wall. So if you’re a home stylist or a builder, or just someone who’s in the market for a fake TV, make sure you give us a call as they can be sent all around Australia.